Welcome to our guide to the best books about Barcelona to read before or during a visit to Barcelona. Travel books are wonderful, but it is also fun to read novels and epic historic tales that are set in Barcelona to make your visit special! Books set in Barcelona often give you an insight and understand of the city that travel guides and website cannot provide. And often there are little nuggets of historic information that travel books don’t include. So to read an exciting tale while visiting Barcelona can make your vacation in Barcelona even more special. There are several bestselling books set in Barcelona which we have listed on this page. 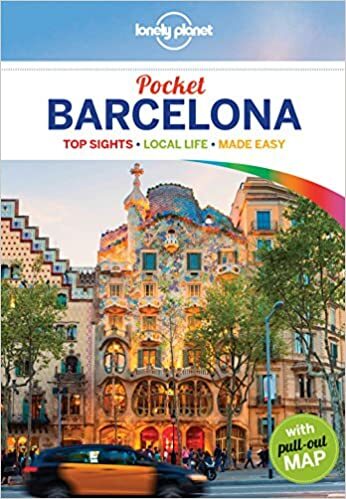 We have also included some Barcelona travel guide books and some popular summer books from Amazon that are just great to read on the beach or on your journey. Keep scrolling to see the the best books set in Barcelona and the best summer books to read on vacation. The Shadow of the Wind (The Cemetery of Forgotten Book 1) The bestselling cycle of books by Spanish author Carlos Ruiz Zafon are The Shadow of the Wind, The Angels Game and The Prisoner of Heaven. The Shadow of the Wind was the first bestselling book in this trilogy set in Barcelona. They are mostly set in the gothic area of Barcelona but Avenida Tibadob on Tibidabo hill is also featured prominently. year-old Daniel Sempere pulls a single book—The Shadow of the Wind by Julian Carax —off of the dusty shelves to adopt as his own. This forgotten book leads Daniel on a hunt for the mysterious writer Julian Carax, who may or may not still be alive. Cathedral of the Sea – Ildefonso Falcones is a gripping historical novel set in Barcelona in the 14th century. It’s an epic tale of war, love, treason, plague, anti-Semitism and the Spanish Inquisition centered around medieval Barcelona life and the workers and construction of Santa Maria del Mar basilica built with stone from the Montjuic quarry on Montjuic hill. The Santa Maria del Mar is an imposing gothic church in which still stands today and is one of Barcelona’s most impressive and most visited sights. (don’t confuse it with the Sagrada familia church by Gaudi – this is another church in a different area of Barcelona. The main character, Arnau Estanyol is the son of a fugitive peasant who starts out as a lowly porter, carrying stones for the building of the Santa Maria del Mar basilica. His fortunes change for the better and the book tells Arnau's journey from slave to nobleman. 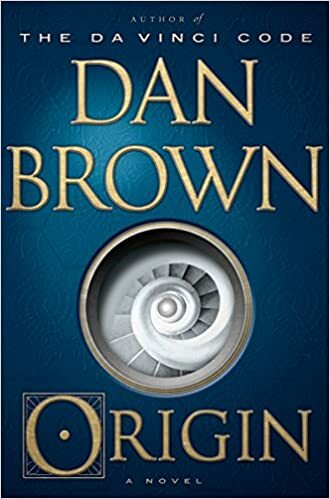 By Bestselling Author Dan Brown, Origin is a 2017 mystery thriller novel by American author Dan Brown. and the fifth installment in his Robert Langdon series, following Angels & Demons, The Da Vinci Code, The Lost Symbol, and Inferno. Origin is set in Spain in present day and is partially set in Barcelona with exciting locations that include Montserrat Abbey, Casa Mila as two of the many locations that are of interest to tourists. A very entertaining read about that aims to answer two of the fundamental questions of human existence on a trail marked by modern art and enigmatic symbols. Origin is by many considered to be one of Dan Brown's most entertaining novels to date. At the time of his death in 1926, Antoni Gaudí was arguably the most famous architect in the world. He had created some of the greatest and most controversial masterpieces of modern architecture, which were as exotic as they were outrageous. But little is known about the shadowy figure behind the swirling, vivid buildings that inspired the Surrealists. This masterful biography brings both man and architect powerfully to life against the changing backdrop of Barcelona and Catalonia. Gijs van Hensbergen leads us through the design and construction of Gaudí’s most significant buildings -- revealing their innovation and complexity, and demonstrating the growing relevance of Gaudí’s architecture today. 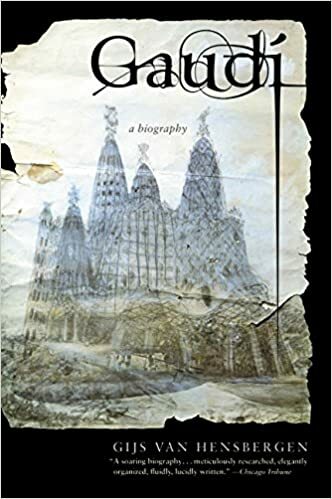 Colm Toibin's Homage to Barcelona tells stories of Barcelona from the story of the city's founding and its huge expansion in the nineteenth century to the lives of Gaudi, Miro, Picasso, Pau Casals and Dali. It also explores the history of Catalan nationalism, the tragedy of the Spanish Civil War, the Franco distatorship years and the transition from dictatorship to democracy which Colm Toibin witnessed in the 1970s. Written with deep knowledge and affection, Homage to Barcelona is a sensuous and beguiling portrait of a unique Mediterranean port and an adopted home. A first-hand eye witness account of the brutal conditions of the Spanish Civil War. “Every line of serious work that I have written since 1936 has been written, directly or indirectly, against totalitarianism and for democratic Socialism as I understand it”. Thus wrote Orwell following his experiences as a militiaman in the Spanish Civil War, chronicled in Homage to Catalonia. Here he brings to bear all the force of his humanity, passion and clarity, describing with bitter intensity the bright hopes and cynical betrayals of that chaotic episode: the revolu-tionary euphoria of Barcelona, the courage of ordinary Spanish men and women he fought alongside, the terror and confusion of the front, his near-fatal bullet wound and the vicious treachery of his supposed allies. Other "must read" summer books by Georpe Orwell are 1984 and Animal farm: A Fairy Story. Both highly recommended. Hot Milk is a 2016 novel by Deborah Levy. A New York Times Notable Book of the Year. It follows a mother and daughter who embark on a journey to a Spanish Clinic in search of a medical cure for the mother’s paralysis. Described as "dreamlike" Sofia’s mother, Rose, is sick. However, neither of them or any doctors can work out why. A hypnotic read about the strain – and the love – between mother and daughter. Shortlisted for the 2016 Man Booker Prize, Hot Milk moves "gracefully among pathos, danger, and humor” (The New York Times). Patrick O'Brian's outstanding biography of Picasso is here available in paperback for the first time. It is the most comprehensive yet written, and the only biography fully to appreciate the distinctly Mediterranean origins of Picasso's character and art. Francoise Gilot was a young painter in Paris when she first met Pablo Picasso - he was sixty-two and she was twenty-one. During the following ten years they were lovers, worked closely together and she became mother to two of his children, Claude and Paloma. 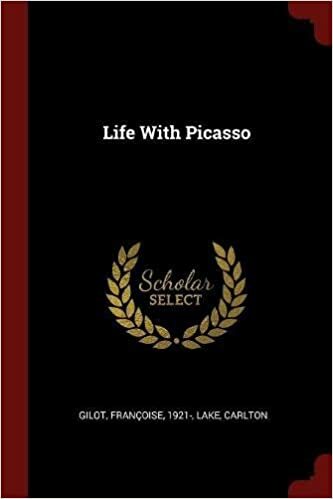 Life With Picasso, her account of those extraordinary years, is filled with intimate and astonishing revelations about the man, his work, his thoughts and his friends - Matisse, Braque, Gertrude Stein and Giacometti among others. Francois Gilot paints a compelling portrait of her turbulent life with the temperamental genius that was Picasso. She is a superb witness to Picasso as an artist and to his views on art. If you like this book you might also like Matisse and Picasso: A Friendship in Art also by Francois Gilot. A bit heavy going but a must for lovers of fascinating history and Barcelona. A monumentally informed and irresistibly opinionated guide to the most un-Spanish city in Spain, from the bestselling author of The Fatal Shore. 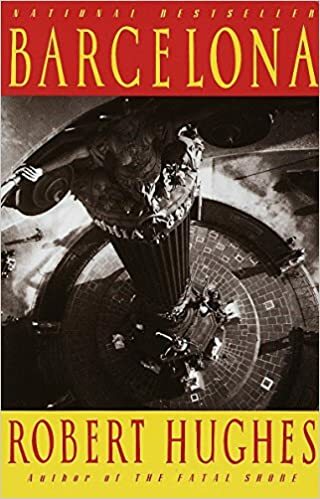 In these pages, Robert Hughes scrolls through Barcelona's often violent history; tells the stories of its kings, poets, magnates, and revolutionaries; and ushers readers through municipal landmarks that range from Antoni Gaudi's sublimely surreal cathedral to a postmodern restaurant with a glass-walled urinal. The result is a work filled with the attributes of Barcelona itself: proportion, humor, and seny—the Catalan word for triumphant common sense. Unputdownable . . . A must for anyone . . . who wants to know what Spain is really like. 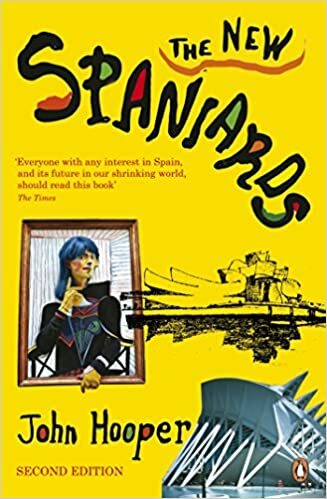 (New Statesman, London) A fully revised, expanded and updated edition of this masterly portrayal of contemporary Spain. The restoration of democracy in 1977 heralded a period of intense change that continues today. Spain has become a land of extraordinary paradoxes in which traditional attitudes and contemporary preoccupations exist side by side. Focusing on issues which affect ordinary Spaniards, from housing to gambling, from changing sexual mores to rising crime rates. John Hooper's fascinating study brings to life the new Spain of the twenty-first century. John Hooper's experience as a foreign correspondent spans more than 25 years. He has lived in every major capital in western Europe - Paris, Madrid, Rome and Berlin - and speaks fluently all five major languages of western Europe. John Hooper is currently Rome correspondent for The Economist and the Guardian. A #1 internationally bestselling novel set in post-Civil War Spain by the author of Dominion and the Matthew Shardlake Tudor Mystery seriesSeptember 1940: the Spanish Civil War is over, Madrid lies in ruin, while the Germans continue their march through Europe, and General Franco evades Hitler's request that he lead his broken country into yet another war. Into this uncertain world comes a reluctant spy for the British Secret Service, sent to gain the confidence of Sandy Forsyth, an old school friend turned shady Madrid businessman. Meanwhile, an ex-Red Cross nurse is engaged in a secret mission of her own. Through this dangerous game of intrigue, C. J. Sansom's riveting tale conjures a remarkable sense of history unfolding and the profound impact of impossible choices. Giles Tremlett embarked on a journey around the country and through its history to discover why some of Europe's most voluble people have kept silent so long. In elegant and passionate prose, Tremlett unveils the tinderbox of disagreements that mark the country today. 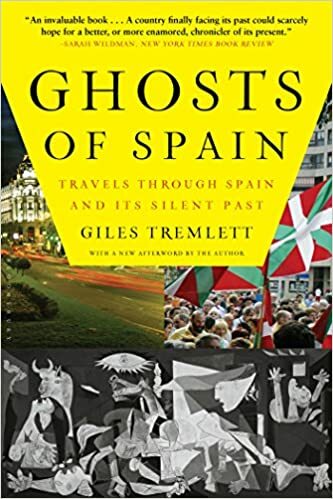 Ghosts of Spain is a revelatory book about one of Europe's most exciting countries." Part modern social history, part travelogue, Ghosts of Spain is held together by elegant first-person prose...an invaluable book...[that] has become something of a bible for those of us extranjeros who have chosen to live in Spain. 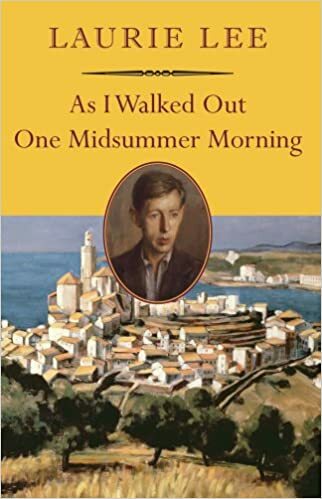 For Laurie Lee, as for much of the world, 1936 was the end of innocence. Lee recalls the first great journey of his young life, in which he walks through Spain and becomes entangled in the passionate, bloody struggle that was the Spanish Civil War. Widely regarded as one of the funniest and most tragic books ever written, Don Quixote chronicles the adventures of the self-created knight-errant Don Quixote of La Mancha and his faithful squire, Sancho Panza, as they travel through sixteenth-century Spain. You haven't experienced Don Quixote in English until you've read this masterful translation. This P.S. edition features an extra 16 pages of insights into the book, including author interviews, recommended reading, and more. Ideal for Historical Fiction fans. 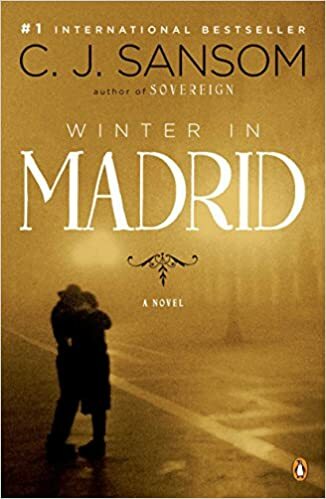 The first book in the captivating Spanish Trilogy, focusing on the remarkable lives of Spain's most famous monarchs In the 15th Century, Spain is full of intrigue and threatened by civil war. The independent young princess Isabella has become the pawn of her ambitious, half-crazed mother, kept as a virtual prisoner at the sordid court of her half-brother, France's Henry IV. Just sixteen years old, all seems lost: is Isabella fated to be the victim of the Queen's revenge, the Archbishop's ambition and the lust of Don Pedro Giron, one of the most notorious womanisers in Castile? Numbed with grief and fear, Isabella holds onto one cherished hope: that one day, she will escape her tormentors and marry Ferdinand, the handsome young Prince of Aragon - her only true betrothed. But the forces of Europe are ranged against them, and love's triumphs are rare. The Sun Also Rises is one of Ernest Hemingway's masterpieces. The story of hopeless love affair between American war veteran Jake Barnes and Lady Brett Ashley set in the San Fermin bull festival in Pamplona, Spain. It is an age of moral bankruptcy, spiritual dissolution, unrealized love, and vanishing illusions. First published in 1926, The Sun Also Rises helped to establish Hemingway as one of the greatest writers of the twentieth century. Another must-read by Hemingway is For Whom the Bells Tolls set in the Spanish Civil War. 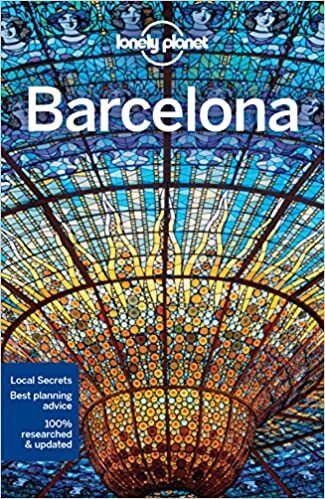 Lonely Planet Barcelona is your passport to the most relevant, up-to-date advice on what to see and skip, and what hidden discoveries await you. Savour the best of New Catalan cuisine; yell for your team at Camp Nou stadium; or look up to find weird and wonderful architecture; all with your trusted travel companion. Get to the heart of Barcelona and begin your journey now! 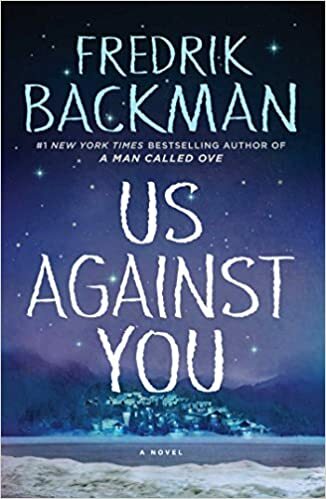 Citizens of a small town in Sweden rally around their local hockey team, even as a hostile rivalry threatens to destroy friendships, families, and the fragile peace of a volatile community. A small community tucked deep in the forest, Beartown is home to tough, hardworking people who don’t expect life to be easy or fair. No matter how difficult times get, they’ve always been able to take pride in their local ice hockey team. So it’s a cruel blow when they hear that their town’s ice hockey club might soon be disbanded. What makes it worse is the obvious satisfaction that all the former Beartown players, who now play for a rival team in the neighboring town of Hed, take in that fact. Written in Barcelona “Stepbac® from Overeating” is a new, simple way to take back control of your weight. We often overeat on vacation so why not learn a way to eat less and still enjoy your food. 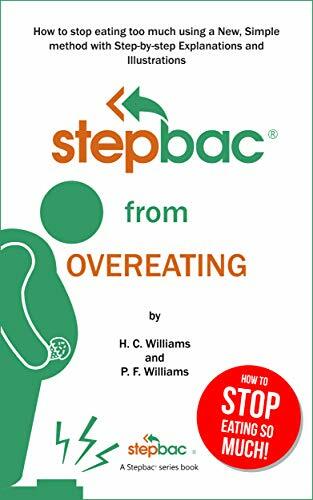 “Stepbac® from Overeating“ will help you take back control of your weight by teaching you a simple way to change your daily overeating habits and take a “Stepbac®“ to your natural and healthy weight. This book is not set in Barcelona, but it was written in Barcelona! “Stepbac® from Smoking” is a new, simple way to quit smoking cold turkey using the Stepbac® method. 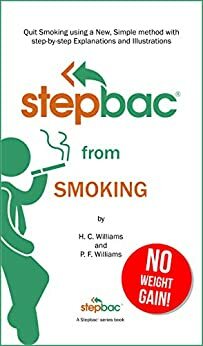 Stepbac® from Smoking is easy, fast and fun, both to read and understand with over 40 clear illustrations and diagrams to help explain exactly how smoking affects you and how to stop smoking using the easy Stepbac® method. We love paperbacks, but we can also recommend that you for vacations you consider reading on an Amazon Kindle Paperwhite e-reader. The advantage is of reading on a Kindle is that it's light, which cuts down travelling weight. It's very easy to read on the beach in bright sunlight. It's digital so you can have many hundreds of books on your Kindle on vacation! You can read Kindle e-books on your smartphone or tablet too - and synchronize the books you are reading on your Kindle device with your phone. That means that you could have a travel guide to Barcelona, a historic novel, a collection of short stories and flip between them during your stay. Also what we like is that you can read a Kindle easily on the beach. You can download a free sample and you can adjust the type size so which is very convenient, especially in low light if you use reading glasses. And if you finish your book just use WiFi to buy another one! For travellers it's really a great option and to be honest - once you have tried Kindle - it's difficult to go back to paper books.